The most helpful way to support the project is to become a sustaining supporter through Patreon.com. Patrons receive access to behind-the-scenes updates and other special content. One-time financial support is also greatly appreciated. You can use a payment method of your choice below. Or, show Bitcoin wallet address. Gold supporters will have the option to be listed in the final credits of the film and on the website. Silver supporters will have option to be listed on the website. If you would like to contribute a larger amount as a tax-deductible donation, please contact us. Check out Neil's twitter feed for updates on this project and other data visualization artists. Subscribe to our mailing list for big announcements, including future episodes (we won't abuse it). Contact Neil directly at: neil@highermedia.com. The first episode looks at the numbers behind nuclear war and peacekeeping efforts. Composed largely of data-driven animation, the 15-minute film allows the viewer to pause at certain moments to interact with the content. 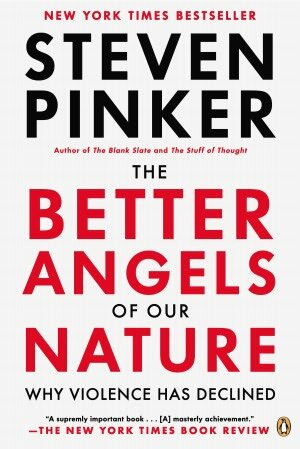 Inspiration and sources for much of the film came from Steven Pinker's The Better Angels of Our Nature. The film can be viewed using YouTube on this page, youtube.com, smart television devices, and any website that embeds the above YouTube video on their page. The film is playable at up to 4K resolution. The interactive functionality is only available when viewed on this page. Please let Neil know if you experience any technical issues. Underlying data from the film was sourced from Virginia Page Fortna, United Nations, Population Reference Bureau, Ira Helfand and Lachlan Forrow, Federation of American Scientists, Scott Sagan and Jane Esberg, and Future of Life Institute. The film was written, directed, coded, and narrated by Neil Halloran. Original music and sound design was created by Andy Dollerson.